Tests are administered on a walk-in basis on Thursdays and Saturdays at the Bonney Lake location only (see below for exceptions). No appointment is necessary. WHEN YOU COME IN TO TAKE THE WRITTEN TEST, PLEASE PARK IN THE LOWER PARKING LOT AND COME UP THE STAIRS TO THE SCHOOL. THANK YOU. Contact or visit the main Bonney Lake location. Instructed by Police Officers – Simply the best training available. FLEXIBLE PAYMENT PLANS ARE AVAILABLE. Students must pre-apply online with DOL License Express to obtain their access code. Use this link. https://secure.dol.wa.gov/home/newDriver.aspx This code will be required in order for us to issue the permit waiver as well as enter all class data in the DOL system. You do not need to pre-apply if you’ve ever had a WA driver license, instruction permit, or ID card. We are now conducting Washington State Driver’s License testing! No more waiting in lines at the DOL office! 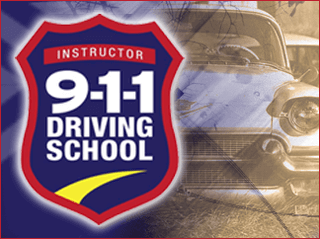 The DOL written test and the first drive test are included in the course price when you enroll in any of our classes!